Alabama quarterback Tua Tagovailoa will start Saturday's game against Arkansas State, Crimson Tide head coach Nick Saban said on Monday. Saban spent all summer avoiding any public statements about quarterbacks but Tagovailoa will get the nod over Jalen Hurts in the Crimson Tide's home opener. "Everybody knows that Tua's gonna start and we're gonna use Jalen's skill set in the future," Saban told reporters Monday. 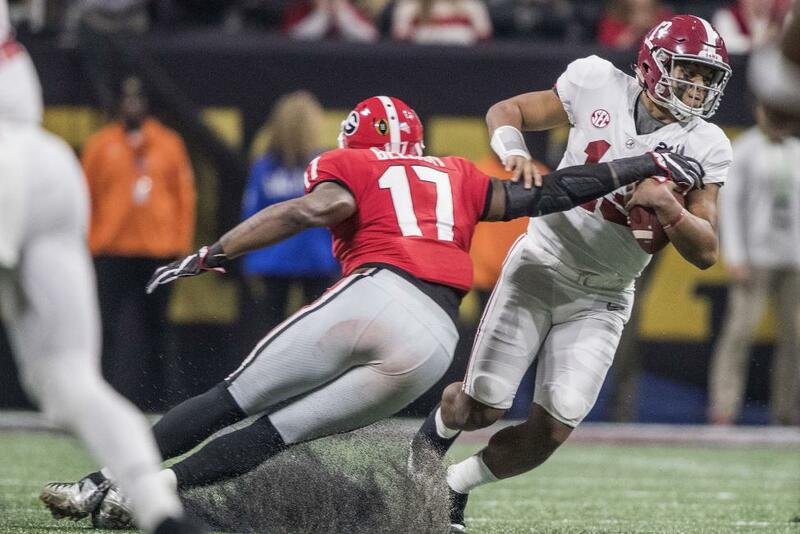 Tagovailoa came off the bench to lead Alabama to the national championship in January and made his first career start in Saturday's 51-14 rout of Louisville in Orlando, Fla. The sophomore threw for two touchdowns and rushed for another score while completing 12 of 16 passes for 227 yards. "Tua is instinctive and got the ball to the right place most of the time," Saban said. Hurts, the former SEC Offensive Player of the Year, completed 5 of 9 passes for 70 yards on Saturday. "Not from my standpoint," Saban said. "I don't know how you can prepare when you pick and choose when you play players. I don't know how a player can really pick or choose when he wants to play and have any respect for his teammates."